Kata Beach is no doubt one of the awesome places you will love to visit, especially in this year 2018. The lovely sea off Kata Beach is among Phuket's best spots for surfing, stand-up paddle boarding, diving, snorkeling and swimming and I'm sure you won't want to miss it all. There are also fanciful viewpoints and popular sporting facilities for people's usage at the Kata beach. Below are 10 listed best things you will love to see and do when you visit the Kata beach 2018. Karon Viewpoint - It used to be named Kata Viewpoint but was renamed Karon Viewpoint due to the fact that Kata belongs to Karon municipality. It is one of the most patronized viewpoints in Phuket. 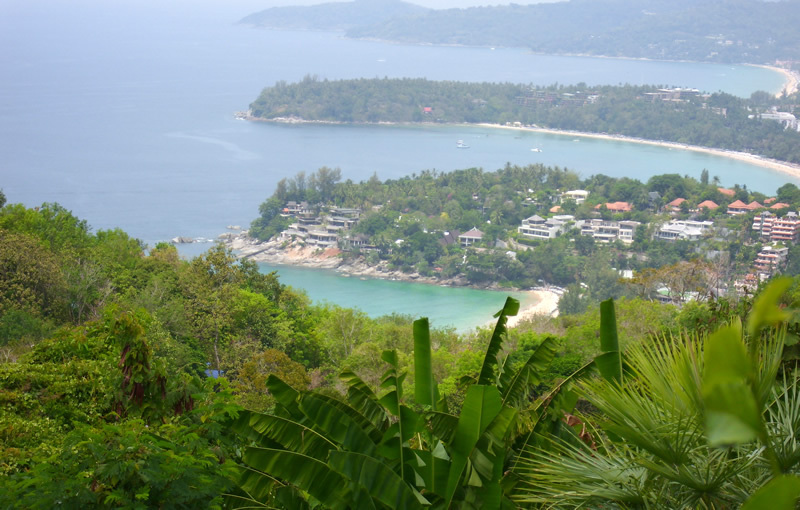 From this Karon/Kata Viewpoint, it is possible to have in view what Kata Noi, Kata Yai and Karon beaches will be. Located between Nai Harn and Kata Noi beaches, the viewpoint is busy most days of the year and is a fundamental of many tour itineraries. Dino Park Mini Golf Park is an awesome place where a mini-golf course and a restaurant can be found in Kata. It is located in between Karon and Kata beaches on the Beach Road itself. 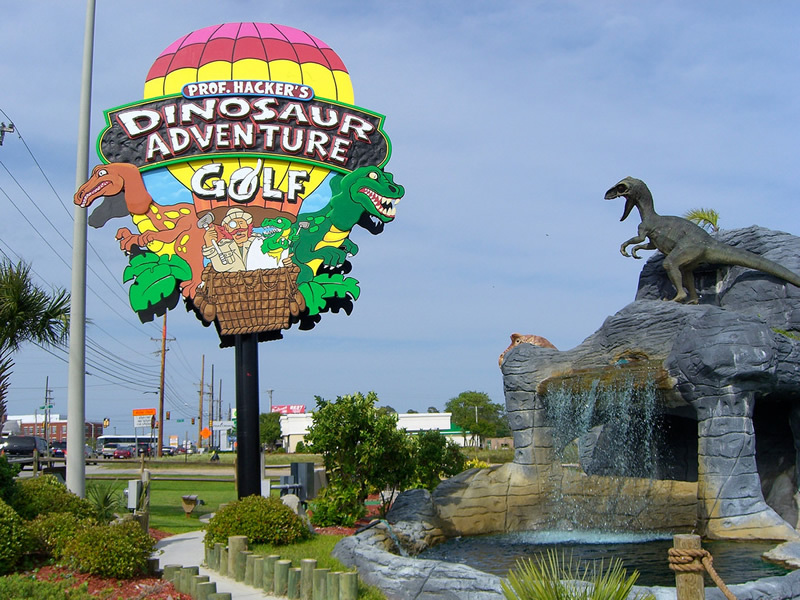 The 18-hole course is themed on - you guessed it - dinosaurs, and has many large and life-like cement statues of the pre-historic creatures, along with an erupting 'volcano' as well as a themed restaurant. 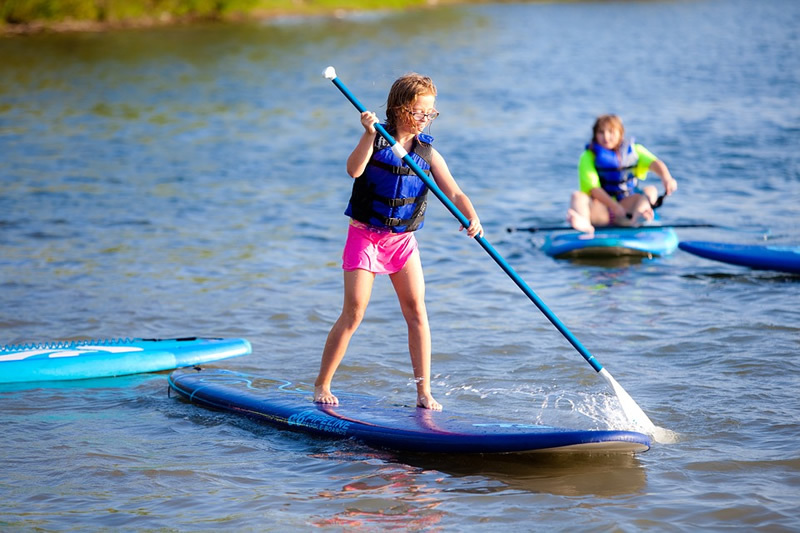 Dino Park is a perfect place for families and friends to hang around. However, it is best to arrive the place later in the day after heat has diminished because of Phuket's high humidity. To have a view of wonderful scenery, walking along shore, shorkel, to swim and have a pleasant relaxing moment. Kata Noi is a perfect place to be. It is located at the end of a beachside dead-end, just a few minutes' drive over the hill from Kata beach. Visitors are always coming back to the Kata Noi bay to have a view of the soft sand, crystal clear water and the lush green jungle backdrops there, that serve are the major attractions. 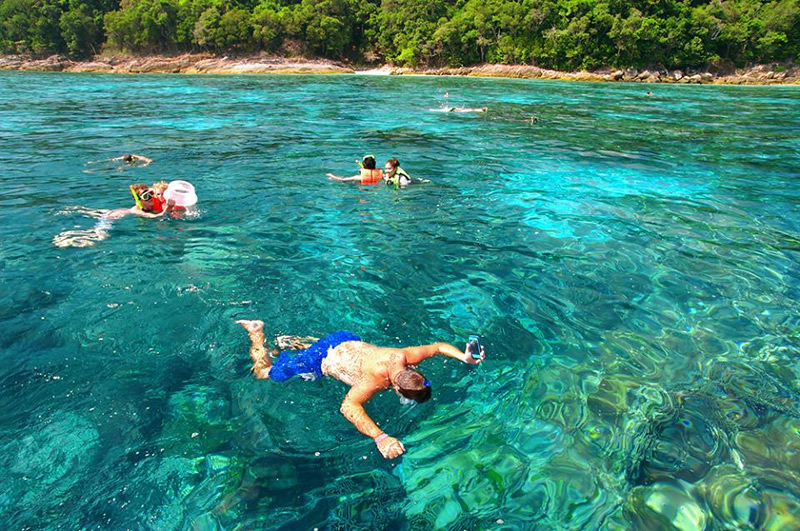 Snorkelling and diving around the Phuket Kata Beach is something most people will not want to miss. There is a small coral reef between the northern tip of Kata Beach and the nearby Koh Pu, which is most importantly interesting. Another advantage is the cheap snorkelling gear you can buy in some of the markets around Kata Beach. One thing you can't miss at the Kata Night Market is the lovely giant gorilla and hulk statues by the entrances. 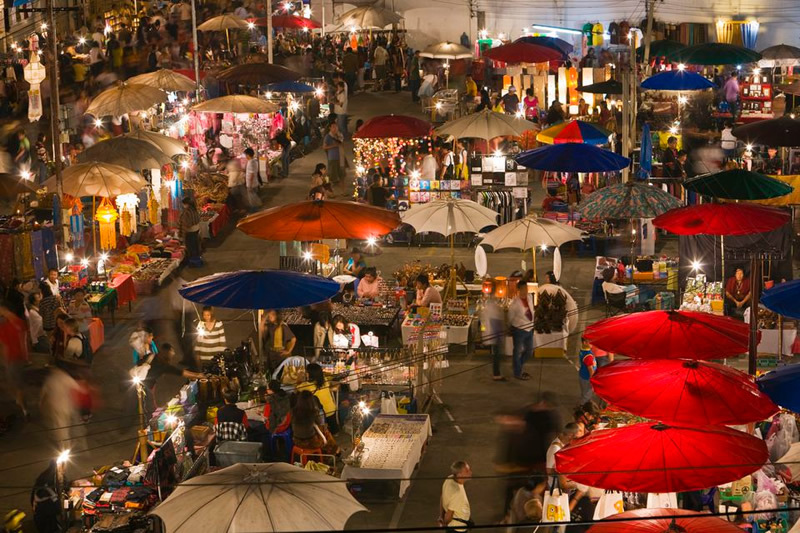 Located on Kata New Road is the Kata Night Market, which is a covered shopping area with a very large food court and a selection of mostly tourist-oriented stalls. You definitely will not like to miss this place as you will be able get meals and souvenirs at token prices there. 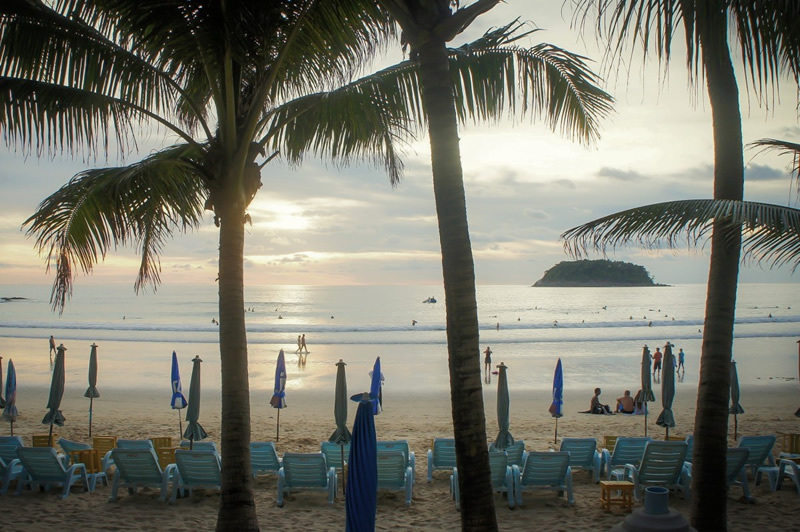 Kata Beach is no doubt the surfing capital of Phuket. 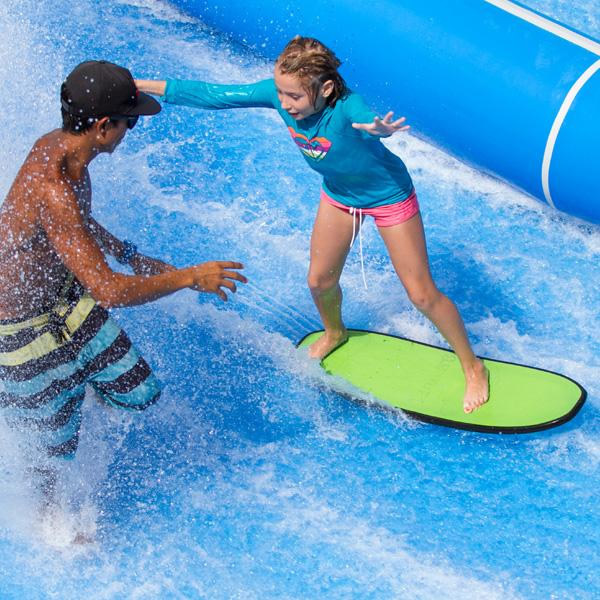 At Kata there are two surf shops and seven beach outlets where you can rent a board. This is the logical venue for the island's biggest annual surfing competition. 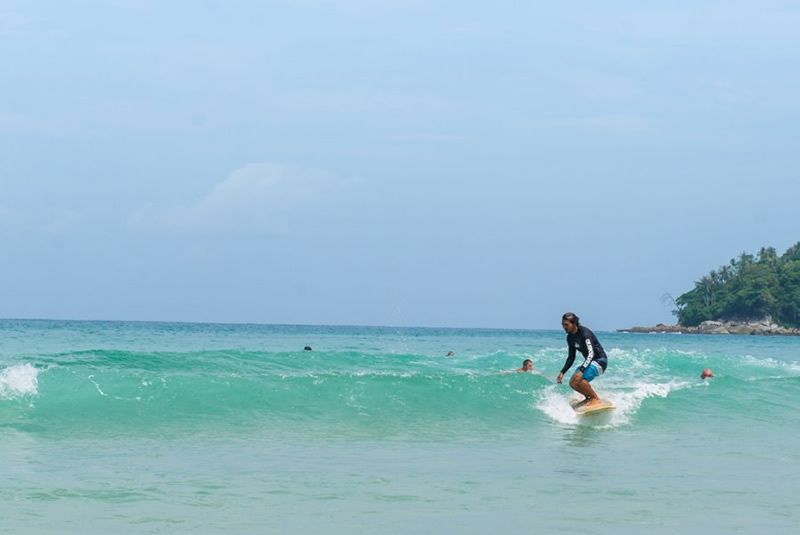 For many, the south end of the beach (outside Kata Beach Resort) offers the best board riding in Phuket and this is why Kata Beach is always very busy at times. This temple has been in existence for a very long time, but it is well maintained and has always been renovated from time to time. 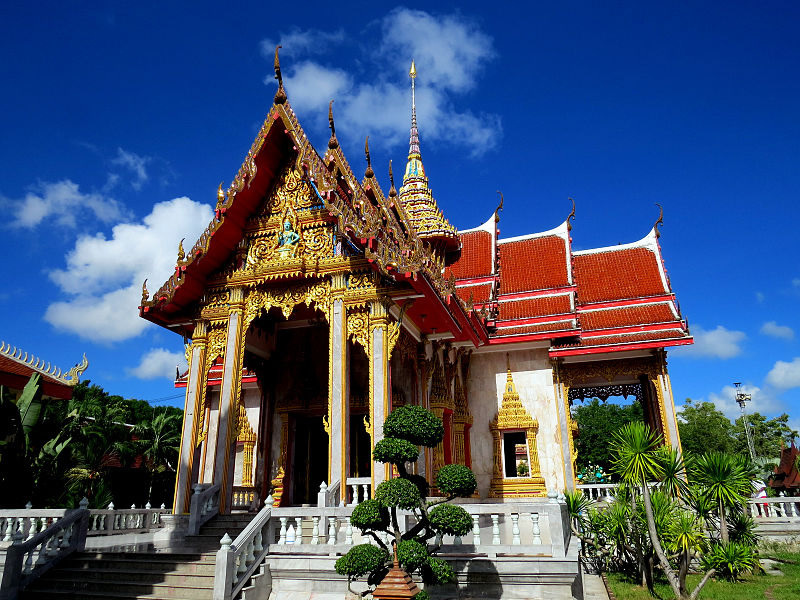 This temple is ancient local place you will love to see when you visit the Kata Beach. The building is decorated with bright, beautiful and lovely colours. However, Dressing with respect is compulsory at the temple.